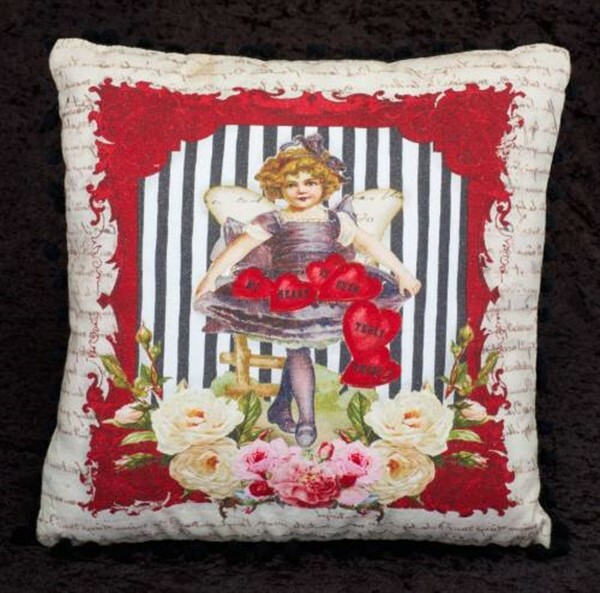 Beautiful decorative pillow for your Valentine's Day decor. This vintage image of an angel girl and roses is on a linen like fabric with a soft velvety black fabric on the reverse side. It is approx 14" square, designed by Tina Haller and is trimmed with little black ball trim all around. It bids happy Valentine's Day" to all who visit your home.